It's amazing what a few cans of spray paint can do! 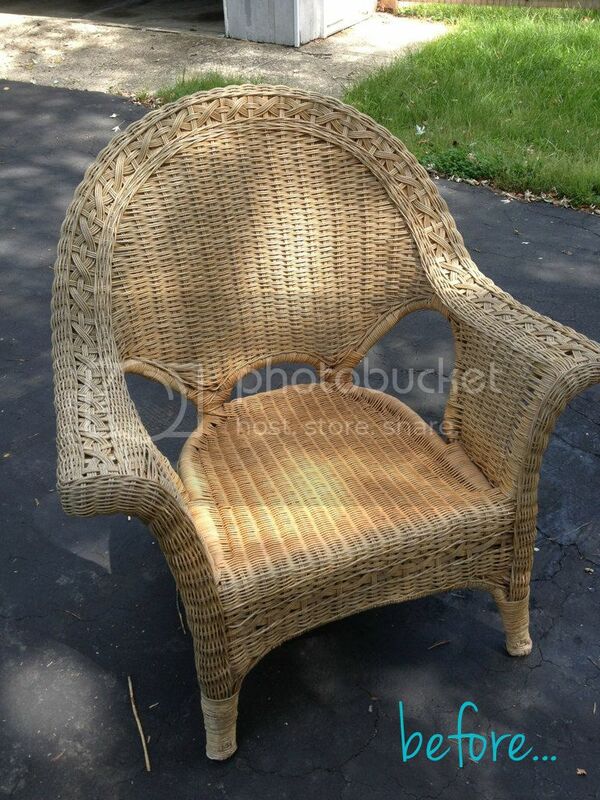 Instead of buying a whole new set of wicker chairs (the cheapest I found brand new were $95 each! 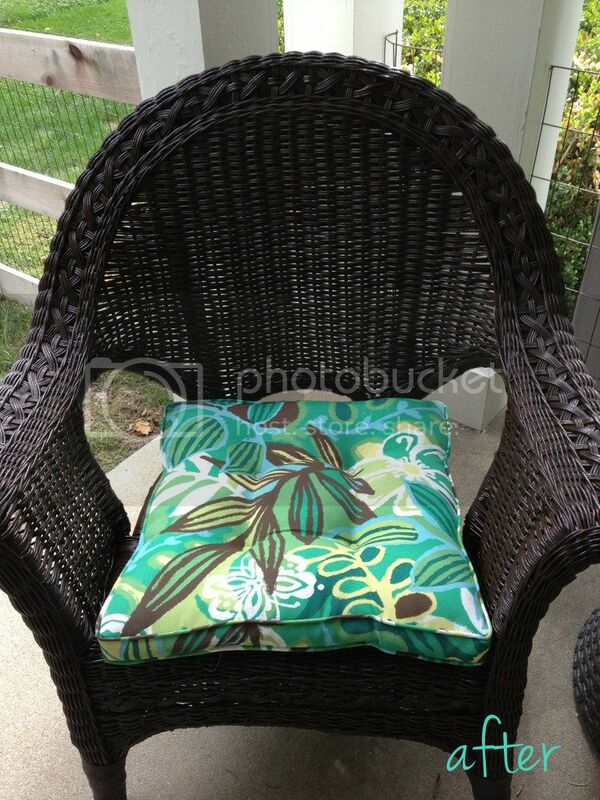 ), $12 for four cans of spray paint gave me all new chairs without the extra $$. When I moved into my house, my mom very kindly gave me two wicker chairs that were looking a little rough, but still in good shape. After at least 5 years out in the elements, they'd definitely seen better days! All you need is a little spray paint. Four cans of Rust-Oleum Satin spray paint for outdoor use on wicker, furniture, etc. Here are my before and afters! Don't forget, if you haven't entered to win the Silhouette Cameo, today is the LAST DAY! Head on over here and get your entries in! What have you used spray paint on to make something old new again? Kelsey - those look fabulous!! Did you buy the cushions or make them? The colors are awesome! Oh my goodness your after is amazing! You did such a good job. 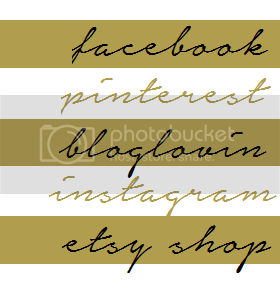 Thank you so much for sharing it at Artsy Corner! I seriously can't wait to see what you share next week! Wow, this chair looks fantastic!! Love what a little (or a lot) spray paint can do! Awesome! What color is this? Is it black or brown? Janice, I'm sorry I didn't see your comment, for some reason it didn't come to my email! Anyway, it is Espresso, Satin Finish - Rust-Oleum. It's a very dark brown.